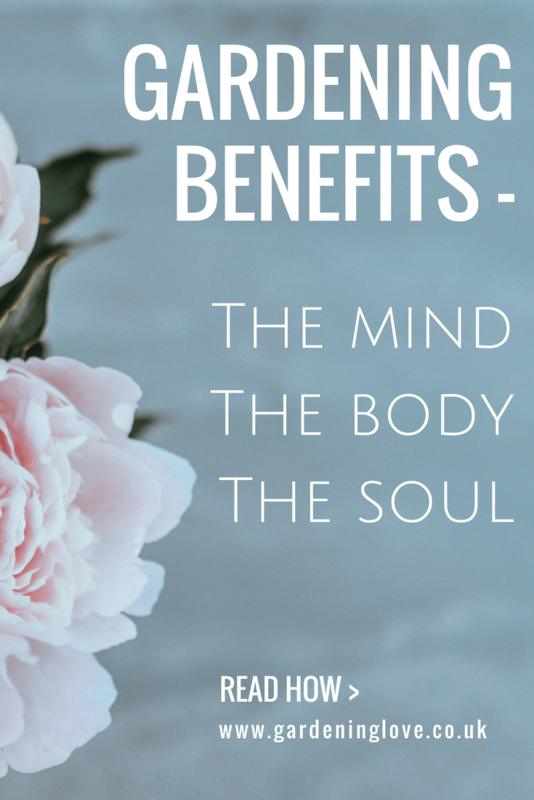 Gardening benefits the mind, body and soul yet it still gets a bit of a wrap for being one of those activities which only suits a certain type of person. It does carry a stereotype with it. Although gardening has become more popular over the past few years, with more television coverage and the rise of celebrity gardeners. 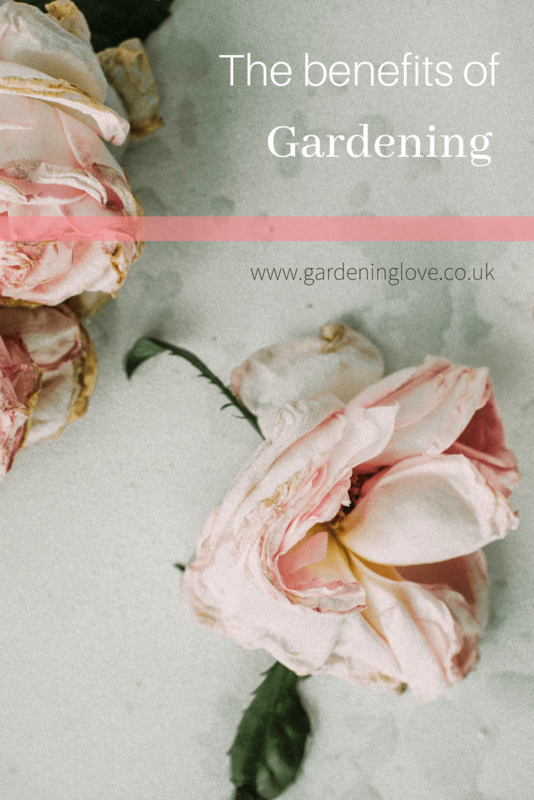 There are many gardening benefits to discover, so I’m here to tell you why I think gardening is underrated , and that if you are not jumping on the gardening train then you missing out on so many wonderful benefits to this rewarding activity. The physical gardening benefits provide a great form of exercise. Ok ill be honest, you probably wont gain yourself 6 pack abs by planting your sweet peas, if that’s what your after. However you will be surprised at how you feel after a couple of hours, grafting in your garden. It all depends on what type of gardening you are doing. Digging, lifting, carrying and bending for an hour or two can give you a nice little body work out. You get to use a range of muscle groups and make it as physically demanding or exhorting as you wish. What’s great is that it is an activity suited to all levels of physical ability. Therefore it can be enjoyed as a very gentle pastime which does not put strain on the body. As I say, it’s down to your own preference. Gardening can benefit your creative side as it is a great way of expressing yourself. You have your own personal space to create what ever you want. Some people like to garden to the text books and develop a full knowledge and understanding of the technical side to gardening. However, if that is not you, that’s ok too. Gardening is very carefree and liberating. You can garden to your own taste and explore the wilder side that gardening has to offer. Experiment with different flowers and plants. Create different shapes and dimensions to your outdoor space, and shape your garden to what suits your personal taste. Ornaments and garden decorations are a great way to add a touch of personality. You will enjoy letting you creative side shine and seeing what you can achieve with a little imagination. We need to spend less time indoors and more time outside. Gardening is a great way to ensure you are getting that much-needed vitamin D !! Enjoying some deep breaths of fresh air whilst being outdoors. Gardening benefits your health easily and naturally. As this post by mindbodygreen.com suggests; Deep breathing, increases the levels of oxygen in our bloodstream. This increased oxygen tells our brains to release endorphins, which are feel good chemicals. This then replaces feelings of stress with calmness. The psychological gardening benefits are powerful. It allows you to slow down and notice things that you may otherwise overlook. You begin to appreciate colour more, noticing a flowers beauty. Feeling a sense of pride watching your seedlings grow. You spot insects and see them in their natural habitat. All of these tiny moments help you to connect with nature on a deeper level. It can help to bring life into perspective. We are just a small part of something so great and we should cherish that feeling. Connecting with nature on this deeper level teaches us a whole new level of respect for the world and our environment. It can instill a sense of purpose within us, nurturing and caring for nature but more importantly developing a love for all that exists on this amazing planet of ours. Here at Gardening Love, I talk a lot about ecotherapy and how nature and gardening benefits are amazing when it comes to caring for your wellbeing and mental health. One great technique to try is grounding or earthing as some call it. Grounding is simply standing on the grass or natural ground barefooted. The theory behind this technique is that as humans, we haven’t always worn shoes. We used to sleep outdoors on the ground and the modern lifestyle has changed all that. By wearing shoes all the time, we are missing out on some serious health benefits that nature has to offer, simply by standing barefoot outdoors. Research suggests that we are missing out on crucial health benefits from being indoors and not connecting to the earths surface. The reason being that the earths surface has an abundant supply of electrons, and connecting to these electrons carries important health benefits. Heres the science bit ! Please check out the link above for a more detailed explanation and to read the research paper. I think you will agree, that this is pretty interesting stuff ! So the next time your outdoors, in your garden get your shoes off and sink your feet into the grass. Check out this related post for inspiration on living your best life. Hopefully this post will encourage some of you to get your gardening gloves on and head outside. Gardening need not be stereotyped, it really is for everyone, and great to get the kids involved. Do you think gardening is underrated for it’s vast benefits? Please share any comments below. Start off small and do a bit here and there. It can feel overwhelming when you look at it all in one go. Try breaking your garden into sections and go from there . I have been wanting to start a garden for a while, for all the benefits you mentioned! It seems really daunting, and I’m trying to find a small way to get started so I don’t give up before I get anywhere. Thank you for sharing! There really is just something relaxing about working hard, getting dirty, and turning dirt into beauty. Great post! Gardening is one of my most favorite activities! Always puts me in a better mood. Thanks Nicole, Canada is on my wish list of places to visit ! Thanks for all this helpful info. I love gardening as well – especially since we have a shorter summer in Canada it’s nice to get outside and get my hands dirty when I can.